It would appear somewhat malapropos to describe those moments as transition hours but, instead, should be fittingly described as Jonathan’s finest hours. 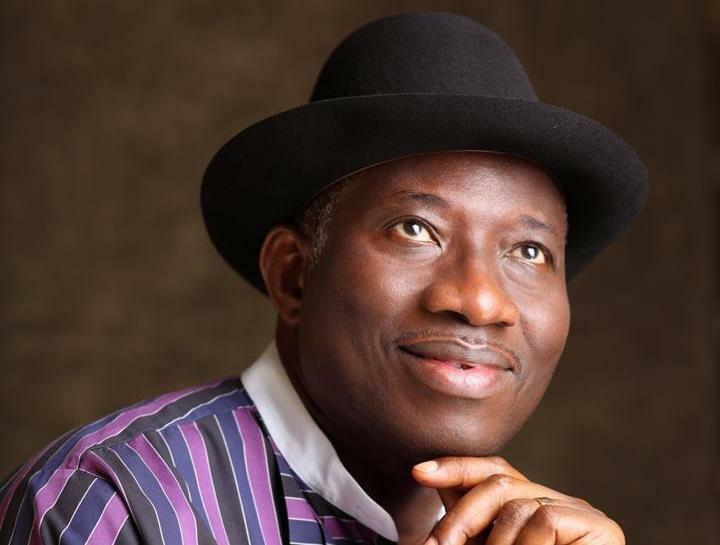 Former President Dr Goodluck Ebele Jonathan has somewhat proved a contemplative leader both in and out of office, although public appreciation of that elemental grace was lost in the haze of the presidential power politics and electioneering for the 2015 poll. Opposition had massively deployed the medium of propaganda to de-market him so much so that he lost much ground in terms of national appeal and substantiation of his continuity and consolidation mantra. Jonathan was also both perceptive and predictive in the run-up to the election that culminated in his historic defeat as a sitting president. He exemplified his perceptive nature when he declared even before the election that his ambition was not worth the blood of any Nigerian. That message was very strong in its conception, construction and validation of his essential persona. But, then, the minds of many Nigerians had been so twisted by diverse narratives and conspiracy theories such that the commitment was scarcely appreciated and celebrated. The metaphor of blood employed by Jonathan was a deliberate throwback to the 2011 post-presidential election violence that culminated in the killing of many Nigerians, including youth corps members who were election officials in some northern states. It was also to serve as a restraining voice in the atmosphere of the nuanced statement reportedly credited to General Muhammadu Buhari whom he defeated in that election to the effect that the dog and the baboon would be soaked in their blood if what happened in the 2011 election repeated itself in the 2015 poll. Therefore, the significance of Jonathan’s decision to show fidelity to the outcome of the 2015 presidential election continues to resonate well in the context of peaceful transfer of power from a democratic government to another, particularly of the opposition hue. Much more significant was the sense in which the former president became his own prophet. Perhaps, sensing his possible loss in the 2015 poll, Jonathan had waxed predictive when he went to town with his popular lines that Nigerians would miss him when he would have been out of office. Jonathan, obviously not a politician of the Nigerian kind, in his moments of contemplative leadership and decision-making, acted rightly by keeping to his promise of bloodless electoral battle. He lost the battle, but he helped to preserve the unity of country and the lives of Nigerians that were under real threat. Even if it occurred to him to become vengeful to the elements who worked against him in his own party -the Peoples Democratic Party (PDP) – in a whiff of monumental betrayal, it never mattered to him thereafter. The scenario supra was a measure of his person and his leadership. In such historic moments when he could still deploy the magnitude of the powers of his office to settle scores with political traitors, he chose to be magnanimous. At that intersection, no sacrifice could have been greater than the historic telephone call that he put through to the winner of the 2015 presidential election, President Buhari, to congratulate him on his victory even when the Independent National Electoral Commission (INEC) had yet to formally announce the results. Indeed, it was the enormity of his inexplicable contemplative charm at the most critical moment of his presidency that disarmed his desperate political associates and his administration’s top officials who had broached the idea of him not accepting the outcome of the election. He validated this in his book, “My Transition Hours”, that some ministers actually advised that he should reject the outcome of the election but instead of launching into morality argument or otherwise, he quietly excused himself, found his way into his study from where he put through the historic call to Buhari. That statesmanlike action has helped to secure a place for him in the pantheon of global statesmen who put nation first above self. This verity received copious attestation on Tuesday, November 20, 2018 at the public presentation of his book held at the International Conference Centre in Abuja. Speakers attested to the utilitarian benefits of Jonathan’s acceptance of defeat when he could have held on and disrupted the process. By refusing to disrupt the process, he kept Nigeria united without fighting a war, to use the allegory by former Minister of Special Duties, Tanimu Turaki (SAN), on the occasion, in contradistinction with the civil war fought by General Yakubu Gowon to keep Nigeria united. Jonathan’s heroism received confetti of approbation, recognition and honour. The occasion was one of Jonathan’s finest moments. Jonathan’s decision to organise a public presentation of his book, which presages his memoir that is in the works, on the occasion of his 61st birthday, was providential. Had he decided to unveil the book in 2016 when he was 59 years old, the events in the country at the time might have diminished or discounted the significance of the phenomenal lesson(s) therein. There is no doubt that the narratives, about how the nation was purportedly run aground under his leadership, how insecurity reportedly held sway and how other perceived negatives reigned supreme, would have taken the shine off the enterprise. That he skipped his 60th birthday last year, a milestone by every standard, for the book presentation, was also contemplative. The import of the conversation might not have been well appreciated. That he chose to do it three years after leaving office was strategic enough to allow for an appreciation of his full measure, overtime, by Nigerians. The bases for comparison between his and Buhari’s administrations are writ large. However, that is not the essence of this piece. This piece celebrates the majesty of Jonathan’s contemplative, perceptive and predictive mind in and out of office. And, again, that the event, where his legacy received global approbation, attracted a quality attendance, speaks volumes. It is instructive that those who attended the book presentation cut across the political divides. President Buhari, who has always claimed that Jonathan surprised him by accepting defeat, was represented on the occasion by the Secretary to the Government of the Federation, Mr. Boss Mustapha. The National Chairman of the All Progressives Congress, Comrade Adams Oshiomhole, was there as Jonathan savoured a continuum of his finest moments. It is remarkable that the Senate President, Bukola Saraki, who was one of the PDP leaders, who dumped the party to form the APC rainbow coalition that dislodged Jonathan, praised his legacy. The national consensus around the Jonathan persona was the appreciation of that singular decision, in moments of national anxiety, to put a call through to Buhari to congratulate him on his victory. That, incredibly, doused palpable tension. For Saraki and many of us, it would appear somewhat malapropos to describe those moments as transition hours but, instead, should be fittingly described as Jonathan’s finest hours. 2019 elections: What about us?